In the future where cities are growing into metropoles, there is not much room for nature. The Audi MO-be is the ultimate solution to escape the concrete jungle and enjoy all nature has to give. Next to natures stunning sights which you can enjoy passively, nature offers a lot of opportunities to enjoy actively. 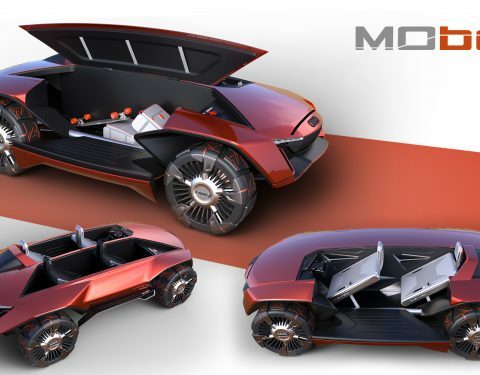 From wakeboarding to mountain biking, from ski- and snowboarding to paragliding, Audi MO-be’s unconventional two-seater layout allows the user to bring all his gear and provides maximum flexibility. Audi MO-be is designed to look durable and though but still refined. To escape your busy life the vehicle only features one interface that displays just essential information. Audi Mo-Be is completely controlled by voice commands. 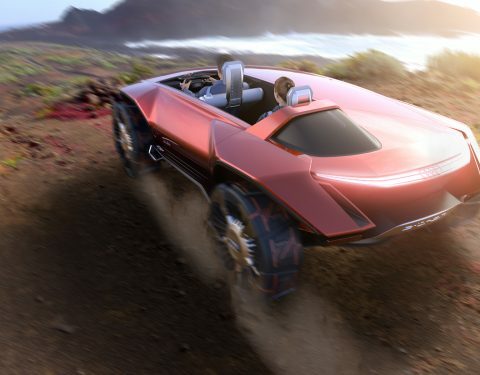 Next to that the autonomous mode helps the user to enjoy looking at the scenery without distraction. The minimalistic and clean interior is covered with a hydrophobic flexible fabric. The panels can close if the car is not used and the seat will shape to the body of the user. 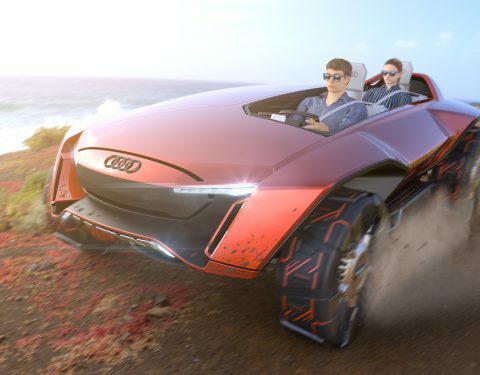 The suspension of the Audi Mo-Be is a collaboration of a magnetic sub-frame and airless tires. Each piece of tire thread is modular and can be replaced individually. Check out the video. 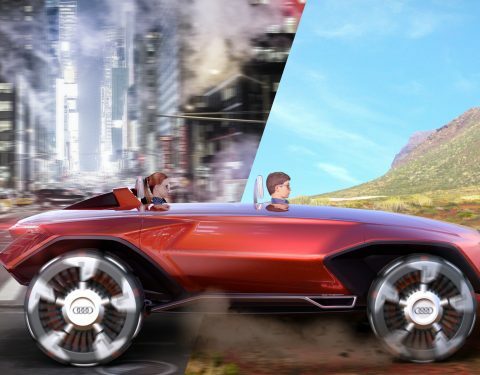 Audi Mo-Be is also featured on Audi Blog! 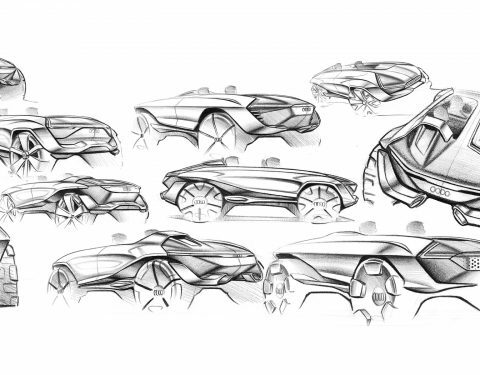 *This project is done in collaboration with Audi for the Master in Transportation and Car Design at SPD, Milan. 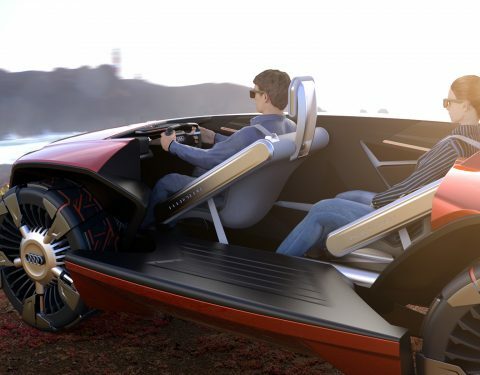 Audi MO-be is a group project designed by Bart Heijt and Fernando Pastre.